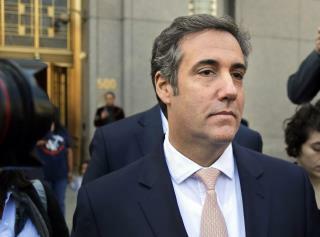 (Newser) – If President Trump and former attorney Michael Cohen weren't already on the outs, the revelation that Cohen secretly recorded at least one of their phone conversations has cinched it. The president took to Twitter Saturday morning to express his displeasure and to suggest that Cohen might have broken the law. The FBI seized the recording during its raid on Cohen's office earlier this year, but the tape only came to light this week. On Saturday, Trump reiterated he wasn't happy about that April raid, either. "Inconceivable that the government would break into a lawyer’s office (early in the morning) - almost unheard of," he wrote. "Even more inconceivable that a lawyer would tape a client - totally unheard of & perhaps illegal. The good news is that your favorite President did nothing wrong!" Trump wants to be just like Putin. Do what he wants with the USA, and if you object, get rid of you. Putin has told Russian government when he retires, he is keeping the palace he lives in. I suppose next Trump will want to keep the White House. He needs to be impeached.! Hmmm, so DJT can dish it out, but he can't take it in. Seems to me he's all about recording conversations, so why wouldn't his good buddy MC pick up on the same idea? He's the favorite President alright, in his feeble mind!! !